Specific care for dehydrated and weakened sensitive skin which has become reactive (redness, tightness and stinging) due to various aggressions. The Soothing Moisture mask is a genuine pampering care for your skin. Very rich in Avène Thermal Spring water, this mask intensely releases all of the water’s soothing and anti-irritating properties. Its nourishing and moisturising elements restore the skin's barrier and thus increase skin hydration. This original formula has been designed for maximum skin absorption: fully replenished, the skin looks healthy and is once again soft, supple, and radiant. Avene Thermal Spring Water (Avene Aqua). Mineral Oil(Paraffin Liquidum). Stearic Acid. Caprylic/Capric Triglyceride. CarthamusTinctorius (Safflower) Seed Oil (Carthamus Tinctorius) Hydrogenated Palm/PalmKernel Oil Peg-6 Esters. Triethanolamine. Glyceryl Stearate. MicrocrystallineWax (Cera Microcristallina). Peg-100 Stearate. Propylene Glycol.Caprylic/Capric Triglycerides. Carbomer. Disodium Edta. Fragrance (Parfum).Phenyl Trimethicone. Apply the Soothing Moisture Mask in thick layers to the face and neck. Leave on for 10 to 15 minutes then carefully remove the excess product with a cotton pad. Finish by spraying a fine mist of Avène Thermal Spring Water. 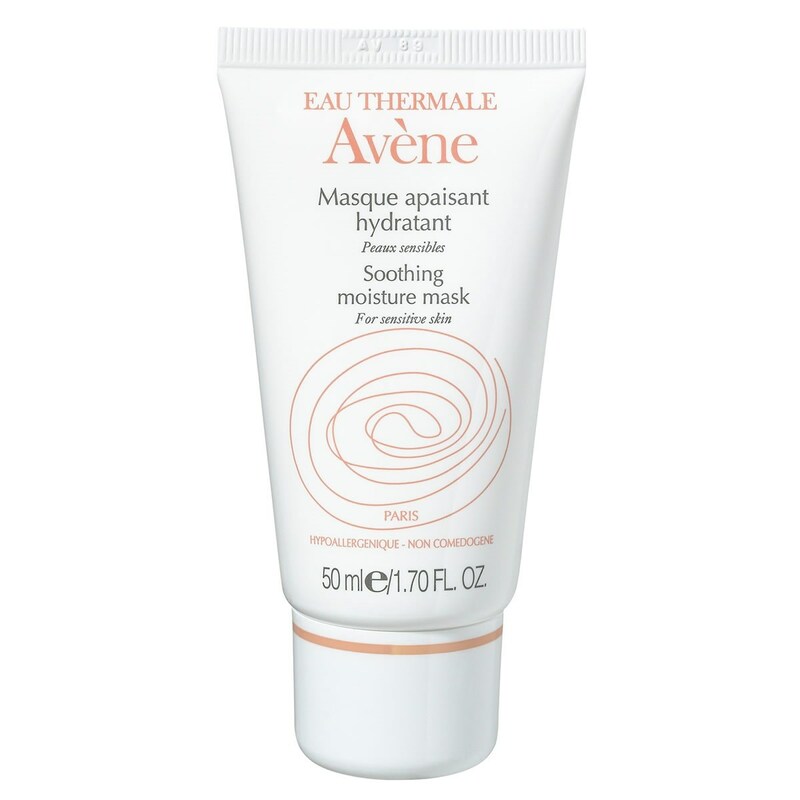 Thank you for your interest in Avene Soothing Moisture Mask. Enter your email and we'll contact you as soon as it's available again.